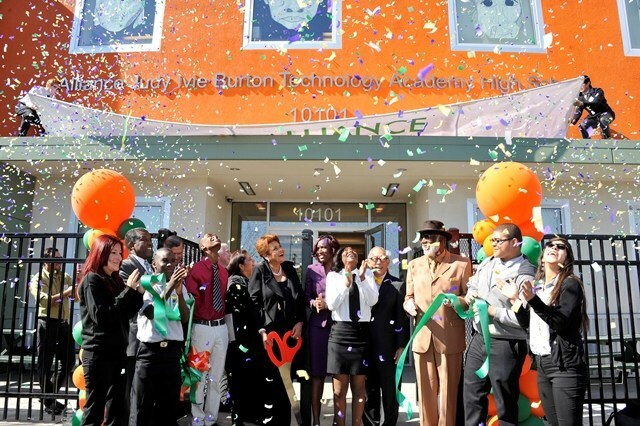 Burton Technology Academy Charter High School (Burton Tech) is an independent start-up charter school researched and developed by Alliance College-Ready Public Schools, a nonprofit charter management organization. In south Los Angeles, where other local high schools have historically had poor graduation rates, our school was designed to prepare our socio-economically disadvantaged students to graduate from high school prepared to enter and succeed in a four-year college or university. 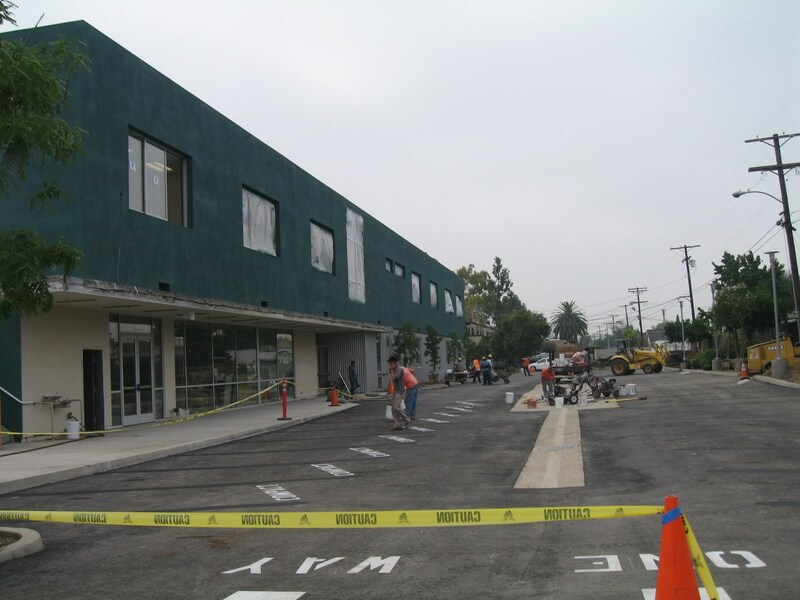 Burton Tech is located in a residential community of South Los Angeles. We offer students from the community an alternative educational environment. Our students come from four of the lowest performing high schools in Los Angeles; Locke, Jordan, Washington Prep, and Fremont. 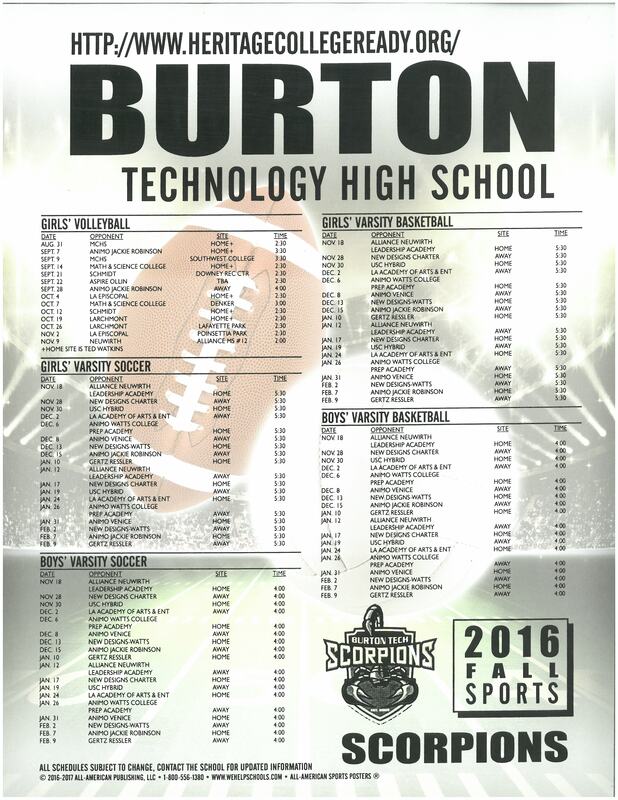 Burton Tech is in its eleventh year of operation as one of the comprehensive charter high schools operated by the Alliance. Since its first year, it has fulfilled its mission to be a small, high-performing high school that prepares its students to graduate and enter college. 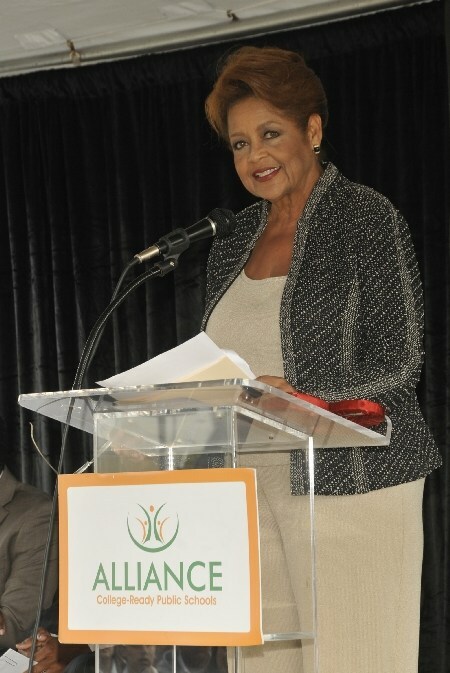 The school opened in September 2005 at its first temporary location at California State University Dominguez Hills approximately nine miles from its current home. After two years of temporary locations, a new facility was finally opened. During the 2007-2008 school year, students started at what we thought would be our permanent sites, on Main Street. However, for 2008-2009, our school was located on two different campuses. Our main campus located at 9719 S. Main Street, which housed 346 10th -12th grade students. Our 9th grade Academy, with an enrollment of 137, was located at 100 E. 49th Street in Los Angeles. Since opening its doors, Burton Tech has attracted students from local middle and high schools in the surrounding neighborhoods. In the beginning our students were drawn from Markham MS. Now after moving a few times and with the raising of Alliance College-Ready Middle Schools, our student population has expanded to include Bret Harte MS, Bethune MS, Gompers MS, Skirball College-Ready MS and now College-Ready MS #4. As with all Alliance schools, BTAHS began with a class of ninth graders and added one grade level each year, rounding out fourth year with its first graduates, the class of 2009. Over the past seven years, BTAHS has consistently met and exceeded its enrollment targets, growing from a school of 200 to 600 students. For the 2010 - 2011 school year, BTAHS conducted its first state-sanctioned lottery to determine freshman admittance, since a surplus of families formally applied to the school. Since BTAHS charter specifically states that it will be a small school, the number of students will not exceed its current enrollment despite its growing popularity as a school of choice. For the 2010 - 2011 school year BTAHS also moved to its brand new permanent home, located at 10101 South Broadway. For the first time all of our students were under one roof. 2012-2013 marks our third pilot year of our 1:1 computer initiative and blended learning model. As our students and the field of eduction evolves, so will BTAHS. 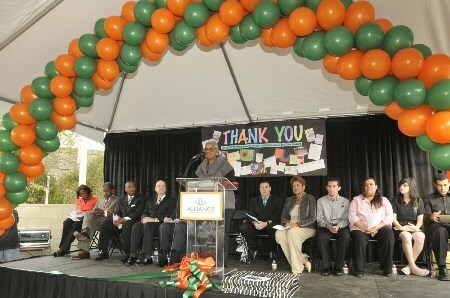 We will always strive to provide the students of south LA with the tools they need to succeed.